Deirdre Souchere is a fully qualified and licensed Acupuncturist having trained at the Acupuncture Foundation at the Irish Institute of Chinese Medicine in Milltown, Dublin, Ireland. She studied under Professor Jin Huide, Dr Wu Jidong and Dr Meng Fanyi. She completed her post-graduate clinical placement in the Governmental Hospital of Nanjing in the Jiang Su Province of China under Dr. Ouyang who specialises in Scalp Acupuncture, neurological disorders and stroke victims. Deirdre is also a qualified Herbalist, has studied BodyTalk System and is currently completing a teacher training course in Qi Gong and Tai Chi. Deirdre has a special interest in womens health, fertility and childbirth and is a founding member of Acupuncture for Fertility & Pregnancy Ireland, a group of established and registered acupuncturists who specialise in the treatment of fertility, pregnancy, obstetrics and gynaecology in the Dublin area. She has completed several training courses in this area including a post graduate diploma course in Obstretics and Gynaecology with London based medical consultant Dr Trevor Wing. Deirdre is passionate in her support of couples trying to conceive and assisting women throughout their pregnancy. She has also trained in Master Tungs Magic Points, Dr. Tans Balance method at an advanced level and treats a wide variety of issues such as stress, insomnia, pain, musculoskeletal disorders, digestive disorders, and many more. Post Graduate Diploma in Traditional Chinese Medicine Clinical Gynaecology & Obstetrics with Dr. Trevor Wing clinician, researcher and lecturer in female health in London. Pregnancy and womens health care with Debra Betts the world renouned Acupuncturist and author of The Essential Guide to Acupuncture in Pregnancy Childbirth. Infertility and IVF post graduate course with Therese Parsons M Sc. Lic Ac. Dip Herb. Cert Ed. Therese lectures in Research Methodology for Health and Social Care at Plymouth University. Her areas of expertise include Quality Assurance, Education, Acupuncture, Applied Science (biochemistry), research methodology, Anatomy, physiology and pathology. She is the current head of the Foundation's Quality Assurance Programme and is a member of the academic board. Giovanni Maciocia - The Clinical Use of the Three Tresures & Women's Treasure remedies for common conditions. Master Tung's Magic Points - Susan Johnson. Master Tung was a traditional Chinese physician from the Shandong Province in Northern China. He is famous for the miraculous and spontaneous results obtained using very few needles in each treatment. His acupuncture points are unique in that they are located opposite the affected area. In many cases, the patient notices the effect immediately upon insertion of the needle. Dr Tan's Balance Method - Dr. Tans famous Balance Method is remarkably effective yet amazingly simple. Dr Tan has dedicated his life to the development of an extraordinary acupuncture strategy that reaches clinical results within seconds after needle insertion. Abdominal Acupuncture. A revolutionary new acupuncture technique developed over the last 20 years by Dr. Bo Zhiyun. Cosmetic Acupuncture and Facial Rejuvenation techniques developed by New York based Virginia Doran who is an internationally recognised acupuncturist and lecturer in the field of cosmetic acupuncture and facial rejuvenation. Auricular acupuncture with Professor Jin Huide, Nanjing University of TCM. 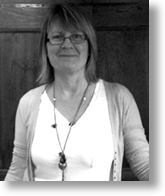 An experienced lecturer and TCM author with over 20 years of lecture and clinical experience. Professor Jin is regarded internationally as a master clinician. 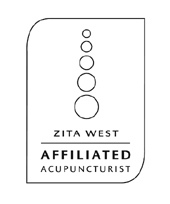 Deirdre is registered with the Acupuncture Foundation Professional Association (A.F.P.A.) and the Association of Chinese Herbalists in Ireland and adheres to a strict code of ethics ensuring confidentiality at all times. Sterile disposable needles are used and strict standards of hygiene are maintained at all times. Acupuncture treatments are approved by VHI, Aviva, LAYA Healthcare and other health insurance schemes. Deirdre also served on the board the A.F.P.A. (Acupuncture Foundation Professional Association) in 2012 in the role of Public Relations. Deirdre is also a fully qualified Yoga and Pilates instructor and has been teaching the the South County Dublin area for over 17 years. For more information about classes see www.innerlightyoga.org.